At Archibald we believe that all children should have every opportunity to succeed. 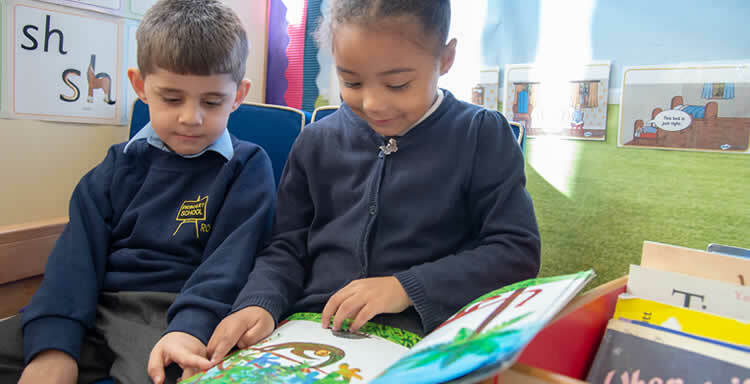 We use the Read Write Inc phonics and reading scheme which begins in the Foundation Stage and develops throughout school. Please click the below links for useful PDF documents. Oxford Owl is a FREE website built to support you and your child’s learning. On the website, you will find age-specific reading and maths tips and activities, FREE ebooks and lots of fun ideas to really bring your child’s learning to life. So why not click on the link and see what you can find?